Three ensembles from the Bremerton Youth Symphony Orchestra — the elite strings, elite brass and elite woodwinds — will perform in the main (upstairs) gallery of Collective Visions Art Gallery at 2:30 p.m. on May 17. The concert will be free, but space is limited. The Collective Visions concert is a warm-up, of sorts, for the BYSO’s final full concert of the year, beginning at 4 p.m. at the Admiral Theatre. Lydia Buck, who’ll front the full orchestra for Bruch’s first violin concerto, will be finishing a full day’s work, as she’s also performing with the elite strings at Collective Visions. 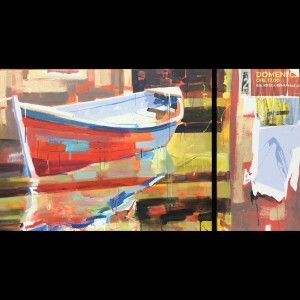 The gallery is at 331 Pacific Avenue in Bremerton; the Admiral is just down the street at 515 Pacific Avenue.